From December 2018 riders with national (RDA or BEF) or FEI classification can take part in our online BD Para-Equestrian classes. Overseas riders who hold a national classification (awarded by their own governing body) can forward a copy to Dressage Anywhere to confirm eligibility. 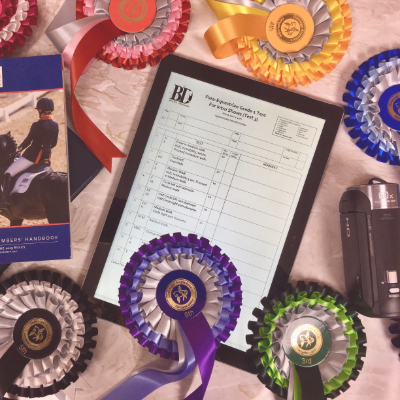 BD Para-Equestrian include tests for Grade 1 to 5 riders and we'll be hosting the Bronze level tests in our online competitions with rosettes awarded up to 6th place (and in accordance with BD rules). All bronze, silver and gold riders can take part in the online competition classes!